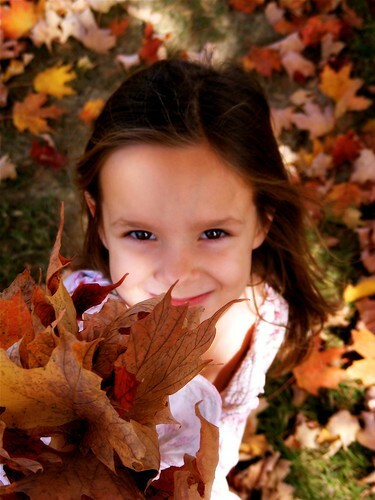 The theme this week at I Heart Faces is Autumn Beauty. The leaves have been gone here for weeks now, but I got this picture of Rachel during the peak of Autumn beauty . . . and I happen to think Rachel (with her October birthday) is indeed an Autumn beauty! Visit I Heart Faces to see more Autumn Beauty. Gorgeous, gorgeous color! Love the composition and the perspective! Love the leaves she's showing me. Beautiful flowing hair and her eyes *pop*. Great job! A great photo. It really draws you in. Lovely photo. I love the light in her eyes.